Item Number: 111-178 17718 Actual Weight: 0.1 lb. 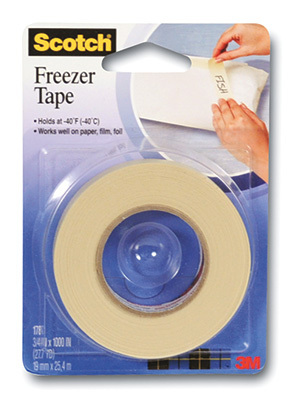 Ideal for labeling and sealing packaging of frozen foods. Adheres to paper, plastic wrap, and aluminum foil to create a tight, moisture-resistant seal. Apply at or near room temperature to a dry surface for secure hold.